I received a lovely email from a complete stranger telling me how much she enjoyed my blog. That note made my day and gave me just enough motivation to pull out the computer and post something new. Shortly after I posted in September we begun what would be 3 months of crazy travel. Our little girl has now been on 9 flights and traveled through 6 states! Although my crafting slowed during those months I did complete 2 things that were very special to me - her Halloween costume and Christmas dress. 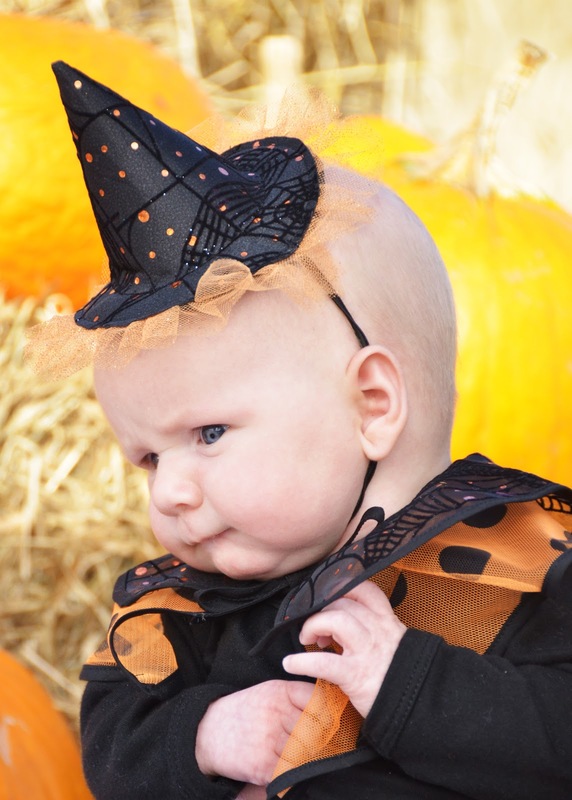 It's called the Witch Tutu Costume and anything that uses tulle is a good-thing in my book! I wanted to make this costume simple but special at the same time. Since P was only 3 months at the time I didn't want to go overboard and overwhelm her in a huge costume. 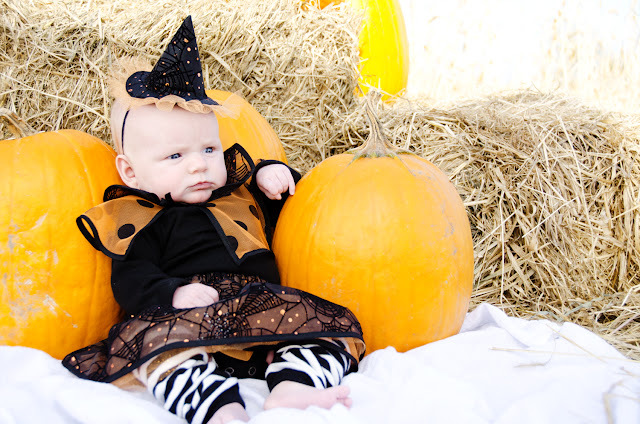 I started by purchasing a black long sleeve onesie on Amazon and black and white stripped leggings from babylegs.com. This served as the "base" for the costume accessories. 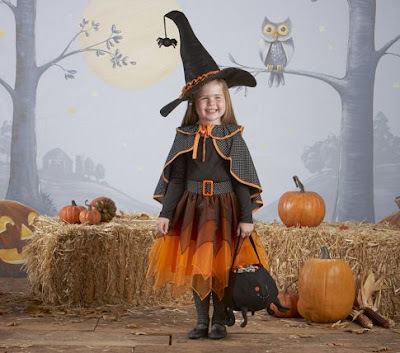 Using the Pottery Barn costume as a guide I decided to make a tulle skirt, cape, and hat to bring the witch to life. I bought a yard of 3 different tulle materials: orange glitter tulle, orange/black polka dot netting, and a velvet-burnished black spiderweb tulle. The skirt was very simple - layers of tulle stacked then folded over and sewn to create an elastic casing. I threaded elastic through and sewed it shut - I didn't even seam the back of the skirt. The cape was also simple. I just drew 2 concentric circles and cut out a "V" shape in the front. I trimmed the netting with thin double-folded black bias tape. I love how the circle shape gently lays with some volume. The hat was a little more complicated. I used freezer paper to make the cone and bottom shape/size then cut it apart and drafted a pattern. I fused the spiderweb tulle onto 2 layers of fusible black interfacing to make fabric that was stiff enough to hold it's shape. I then cut it all out and assembled. The hat is probably my favorite part! All-in-all this took me over 10 hours to pull together but I love how it turned out. I think I could have been faster, but it's hard when you're sewing during nap-times and at night. I'm now back at work and it's even harder to find time to sew . . . however I will continue crafting! The costume is fabulous! She is so cute! Good luck with the crafting time...I barely find any time and I am home full time! I have been working on a pair of PJ's for my oldest for a month!! Maybe I will finish them tonight instead of watching the Super Bowl. Hi Brandy! This costume is absolutely adorable. Baby P is a very lucky little girl to have such a talented mom. You look fantastic! And oh, so happy. 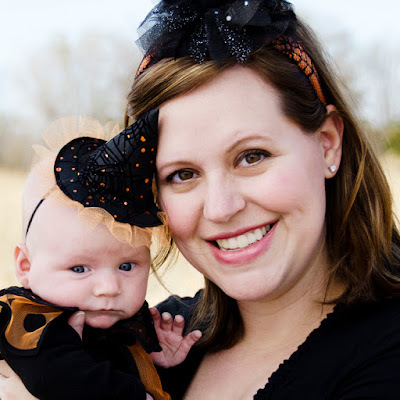 These Halloween costumes might be classic but they truly work for you and your kids!